Voting will run for 2 weeks again to allow enough time for anyone interested to vote. 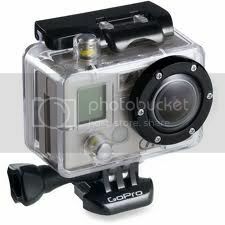 Please select 1 video camera from the three above to purchase, and test for eventual trail camera use. I think we should stick with testing the GoPro!!! No one has figured out everything it will and will not do!! Sure TRL has played with it but it has not been put thru the testing we normally do. I for one am very disappointed with this decision!!!! Not that it matters I am sure. Jim, I don't see a reason to test something that has already been used in a build and more or less has proven itself. More are already purchasing Go Pros and starting their own builds already. The testing is being done without the need for our research funds. The purpose of the Research Fund is to test cameras that not have been tested and then if they pass to do a build with them. Myself and the other moderators discussed it and thought exploring a different camera is a wiser use of our cooperative funds. Sorry, you are disappointed. And, every member's opinion in my eyes matters. That's a good deal! Would someone mind picking one up and I'll send them a paypal payment to cover it. Deal is dead.. I started to get one but I don't need another project right now. Wish I had now after seeing Pred's post. Has anyone seen any deals on the Kodak ZS5 latley? We should try to snag one soon and satrt testing!